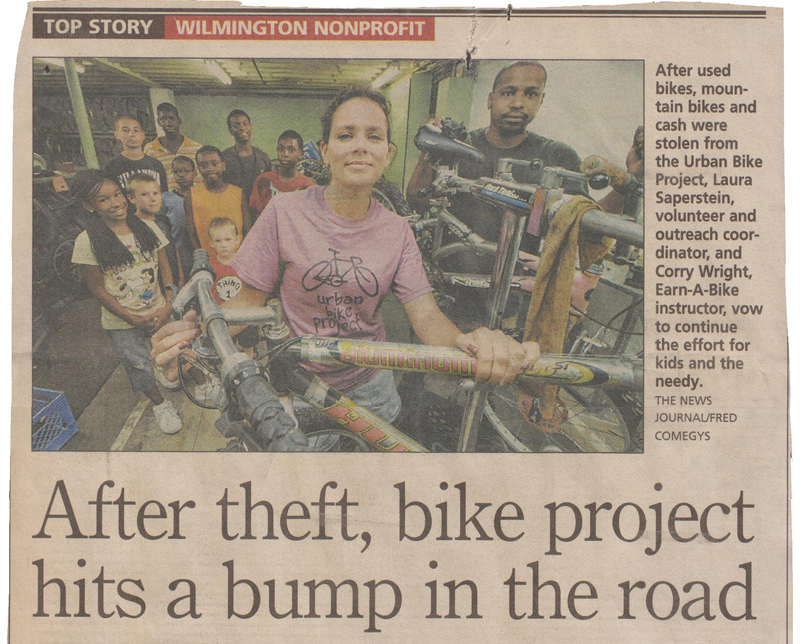 The story of the Urban Bike Project begins in 2005 with David Hallberg and Brian Windle salvaging trashed bicycles in the Trinity Vicinity neighborhood in Wilmington. A large group of children would stop by daily with requests for help fixing flat tires, derailed chains, and more. 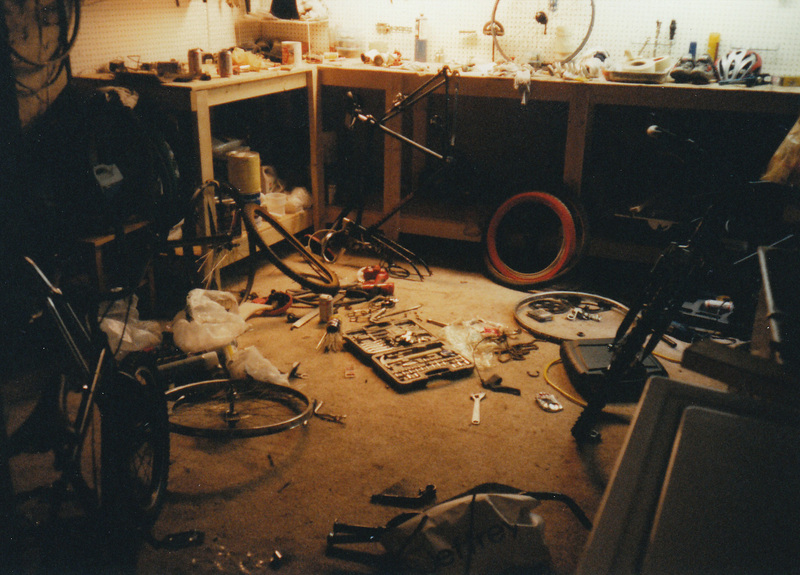 The earliest existing picture of bicycle work in Trinity Vicinity, wish we’d cleaned up first! 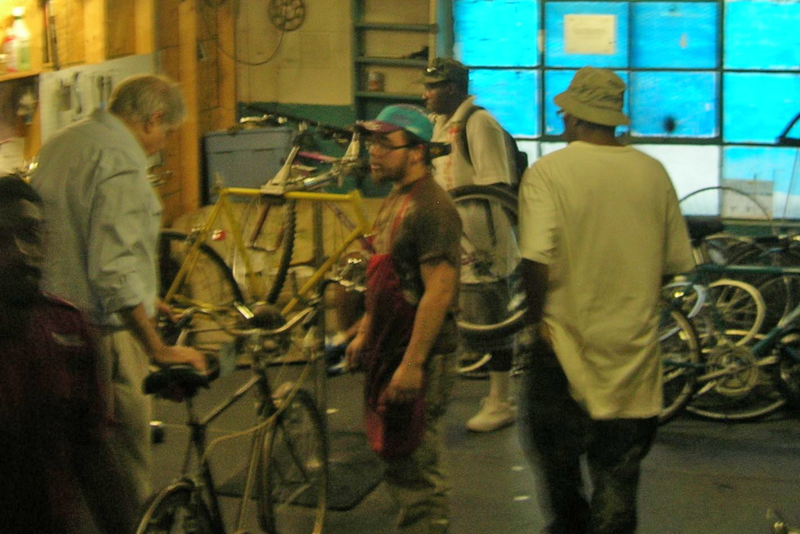 In 2006, the operation had moved to Brian’s house in the 9th Ward and a whole new group of children demonstrated the need for bicycle repairs and education for youth in the City. Family and friends began donating bicycles and four friends (Sarah Green, David Hallberg, Brian Windle, Dwayne Crosby) saw an opportunity to start an organization to address that unmet need. 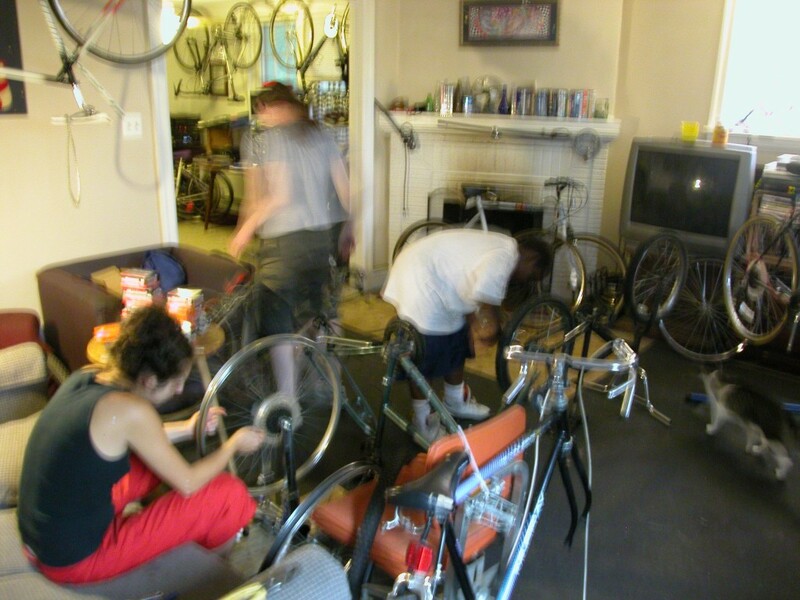 Working on bikes in the living room. 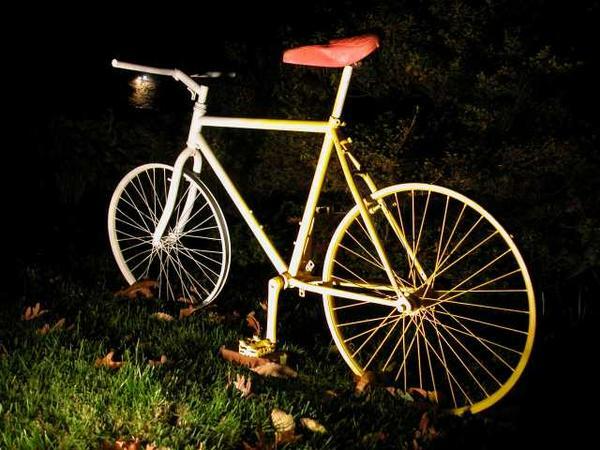 A painted bicycle frame helped people to find the right house. Sarah, David and Brian attended a Thunderhead Alliance training in Philadelphia which helped craft a plan to get the organization off the ground. Thunderhead Alliance training made possible in part by the Bicycle Coalition of Greater Philadelphia, our fiscal sponsor until we obtained our 501(c)3 designation. 2007 brought challenges such as filing paperwork to obtain not-for-profit status and a quest to bring the fledgling organization out of the living room and into a real shop facility. Thanks to local bicycle advocacy groups we were able to spread the word and start gaining momentum for our cause. 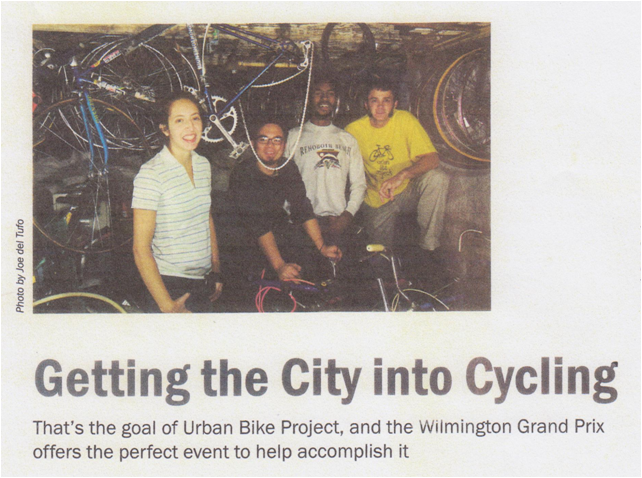 Sarah, David, Dwayne, Brian were interviewed for Out & About magazine about the need for a new location and our bike valet role in the inaugural Wilmington Grand Prix. 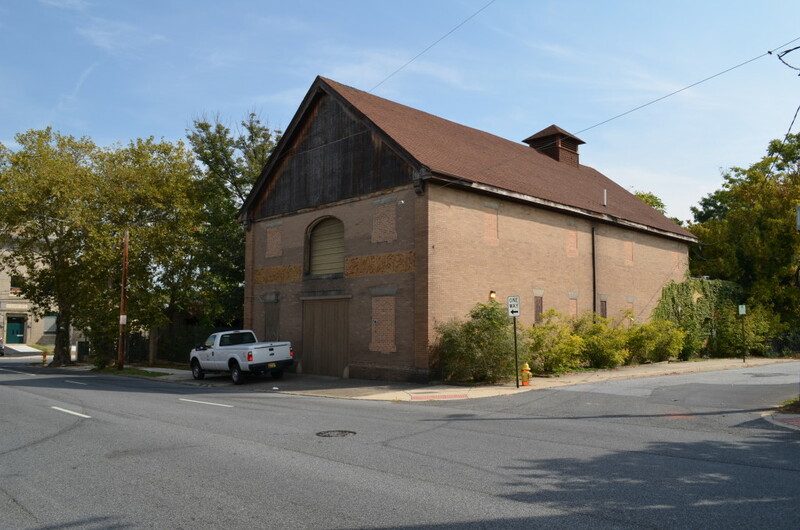 After a long search, David Menser and Bobbi Briton from Greater Brandywine Village Revitalization located a building that would be suitable to expand the operations of the Urban Bike Project and serve a greater number of youth and adults. 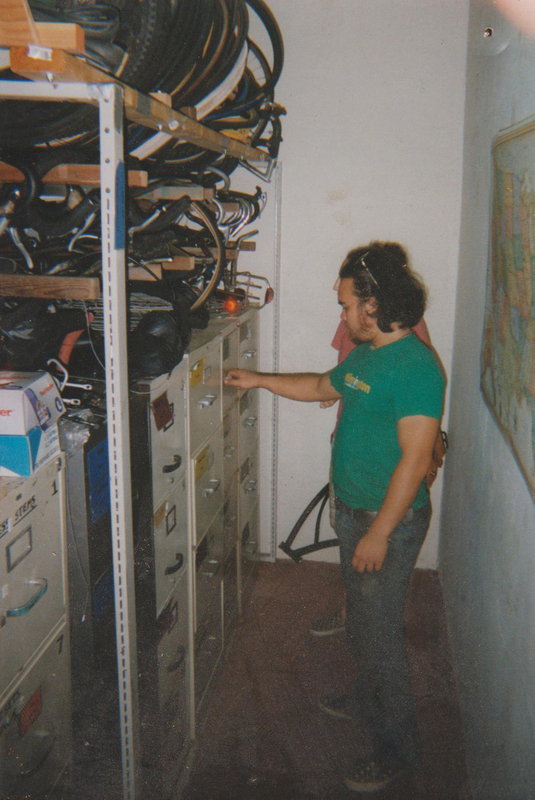 The bikes and tools were moved to what would be our home for the next 5 1/2 years: The basement of 1908 North Market Street. A first look at 1908 North Market Street. The building was shared first with Green Delaware Recycling and later by DECO and The Spot, a music venue and artist space. Bread for the Journey donated some critical funds to cover our first year of insurance coverage and White Clay Bicycle Club donated a workstand and professional tool kit. Both of these donations allowed us to successfully launch our Open Shop program on March 7, 2008. 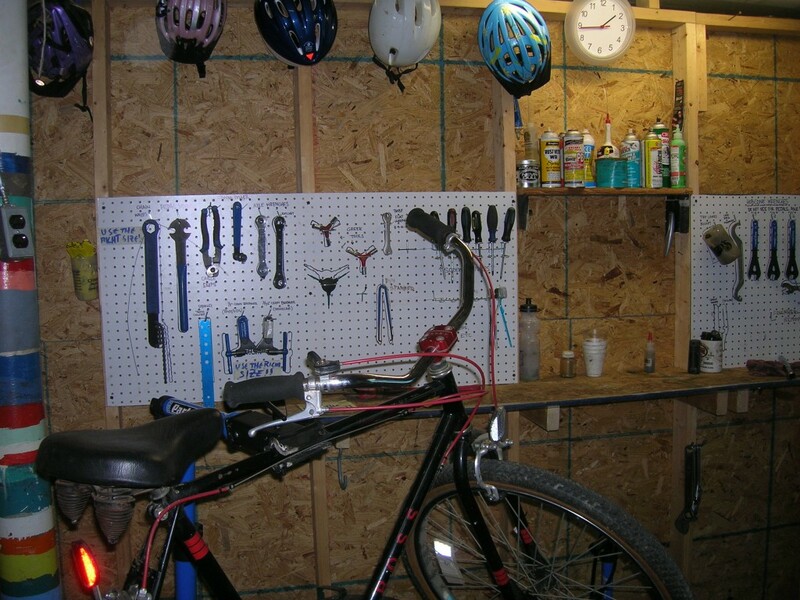 An early version of the do-it-yourself workstand and tools available at UBP. In October of 2008, Sarah, David, and Brian attended a Bike!Bike! conference in San Francisco. Bike!Bike! 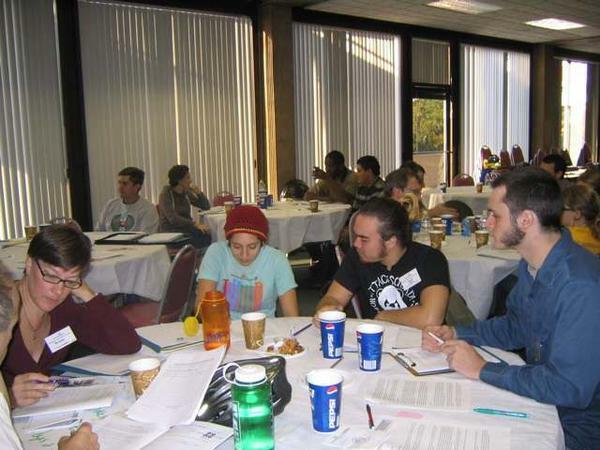 featured excellent presentations and workshops put on by organizations from across North America. In addition we visited three community bike shops: The Bike Kitchen, San Francisco; Bici Centro, Santa Barbara; and The Hub/Bike Church in Santa Cruz. Seeing these shops in operation inspired many future improvements at the Urban Bike Project. David and Sarah checking out Bici Centro’s part room. In 2009, the demand for UBP services grew, with increasingly huge numbers of people attending Thursday and Saturday Open Shop. The launch of our Free Bike program allowed applicants to receive a refurbished bike for work, exercise, or general use around town. David helping shop visitors during the Open Shop program. A major renovation took place at the end of 2010. 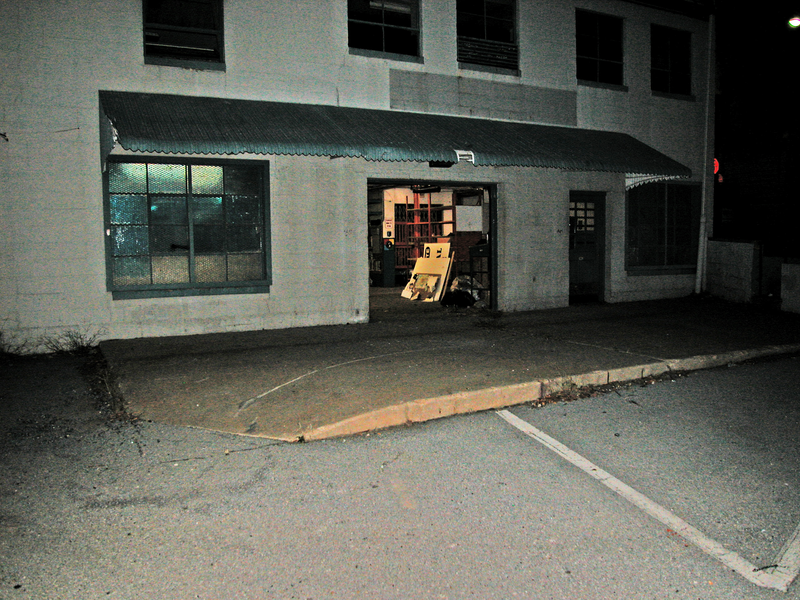 A greeter station and a volunteer area were created, and the crumbling fieldstone walls were parged and painted, significantly cutting down on the amount of dust and debris in the shop. 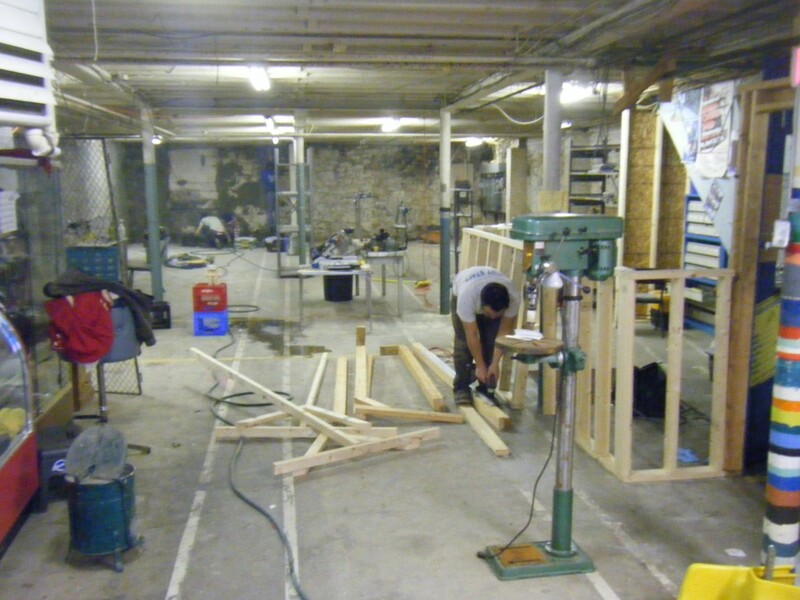 The layout of the shop was redesigned to increase our number of do-it-yourself workstations to five. Construction of greeter station and wall parging underway. In 2011, volunteers were put to the test due to the large numbers of youth and adults attending Open Shop, sometimes reaching 50-60 in a single shop session. 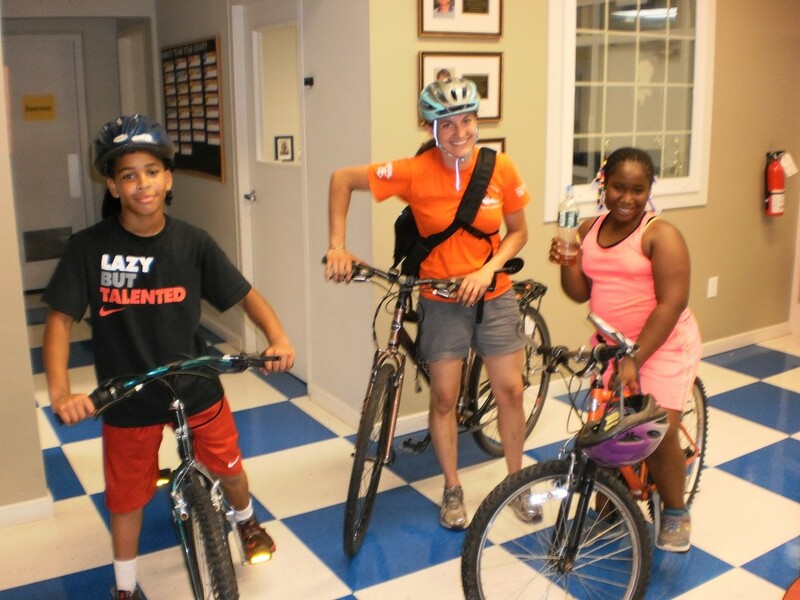 Corry Wright of CORE began an Earn-A-Bike camp for City youth and Laura Saperstein was brought on board to assist with volunteer recruitment and outreach. Her help was instrumental in dealing with “The Break-In.” Our shop was burglarized and many bikes and tools were taken. The response from Wilmington and surrounding areas was incredible. At one point we had to stop accepting bicycle donations because there just wasn’t anywhere left to put them. Laura and Corry with Earn-A-Bike students after the break-in. 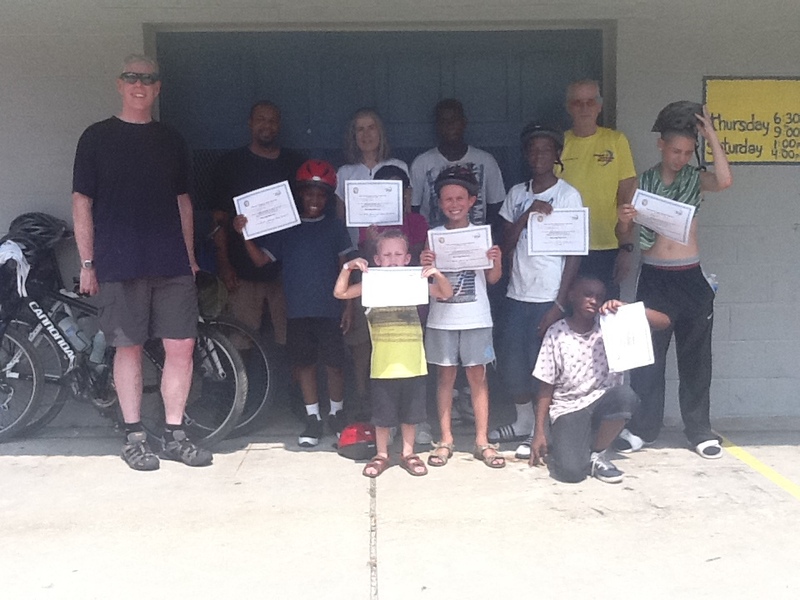 Corry, Ceci and John McCormick, and Paul Hess after teaching Earn-A-Bike camp students a Youth Bicycling Safety & Skills class. In 2012, Saturday hours were dropped from Open Shop due to difficulty ensuring adequate volunteer staffing. Tuesday night was added and quickly became just as popular as Thursday. Laura Wilburn was brought on as youth programs coordinator to assist with the Earn-A-Bike camp and programs started by Corry. Laura with two graduates at the Fraim Boys & Girls Club Build-a-Bike program sponsored by the Mike Clark Foundation. Summer 2013. In 2013 Our Board of Directors began to look at ways to grow the organization and Laura Wilburn became our new Executive Director. Poor conditions and slated demolition created a pressing need to vacate 1908 North Market Street and find a new home for the shop. Our Real Estate Committee, headed by Leah Kacanda, Adam Singer, and Jerry DuPhily, explored several options in Wilmington. After reaching out to City Council and the Mayor’s office a property was identified at 1500 North Walnut Street that looked suitable for our needs. A Grand Opening Celebration and Fundraiser was held on Friday, January 10, 2014 and programs continued in the new building on Tuesday, January 14, 2014. 1500 North Walnut Street. The property is on the National Register of Historic Places and once served as the City’s stables and, more recently, the Urban Environmental Center.